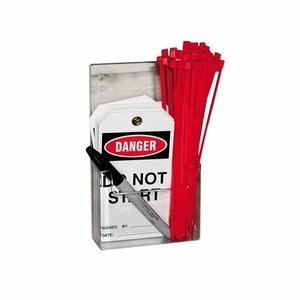 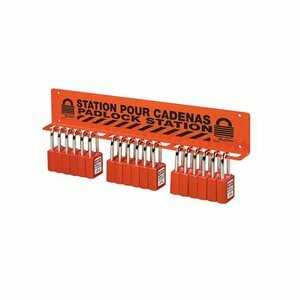 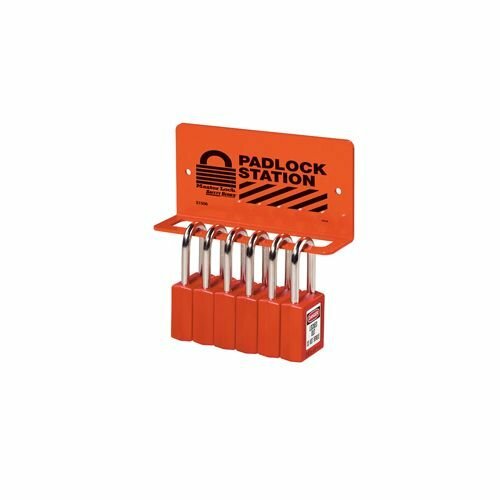 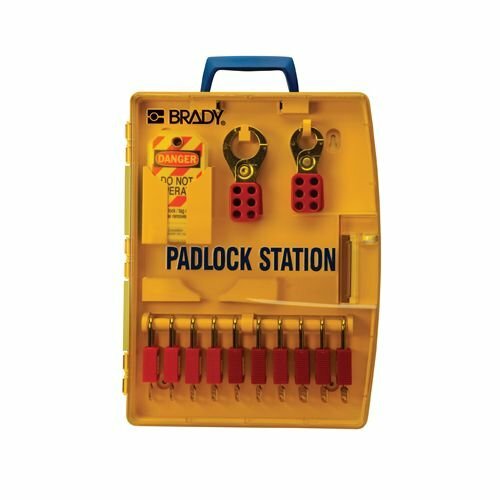 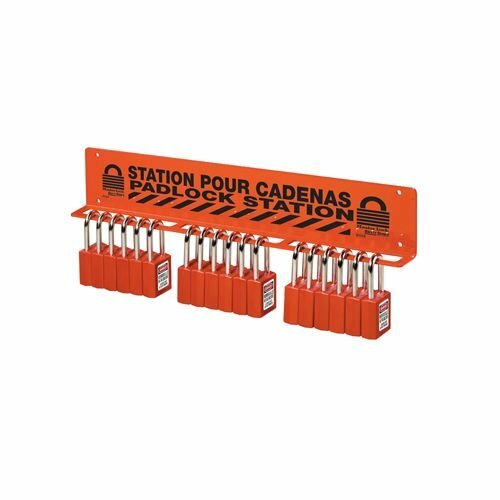 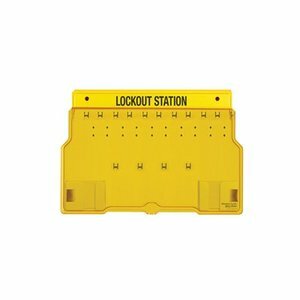 Unfilled Lock-out station with 8 clips and 1 compartment. 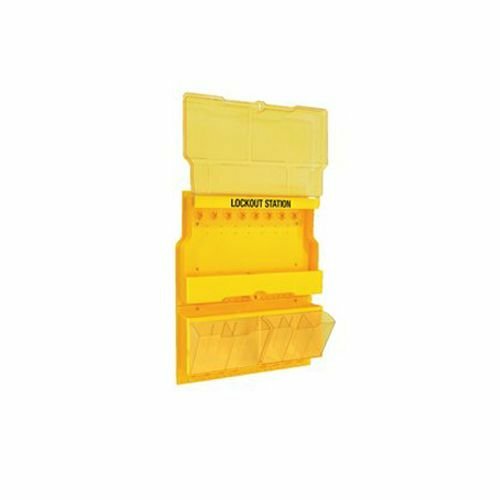 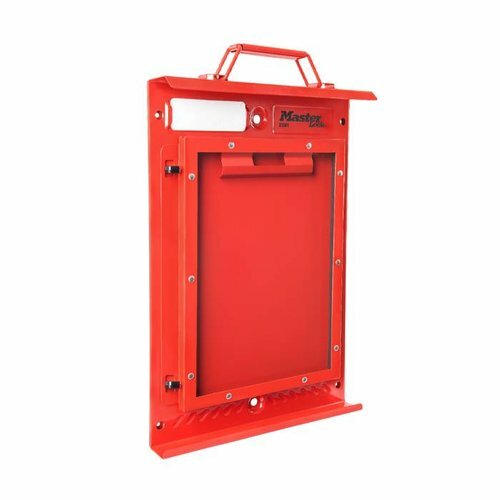 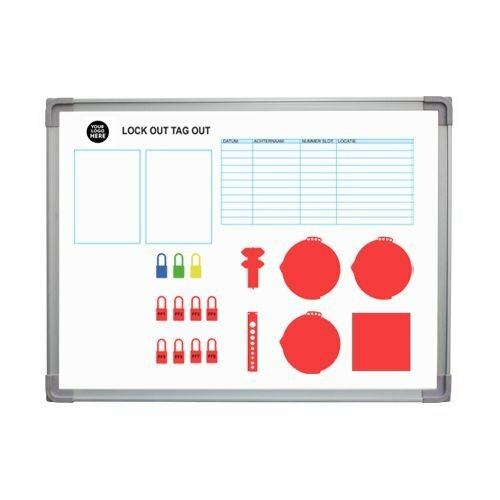 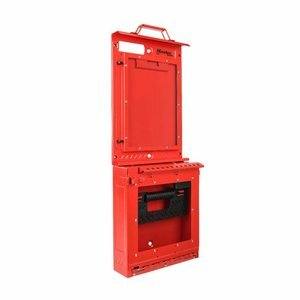 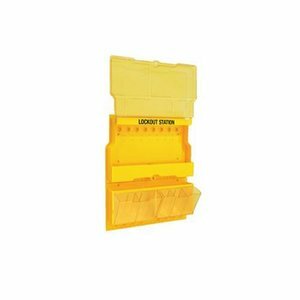 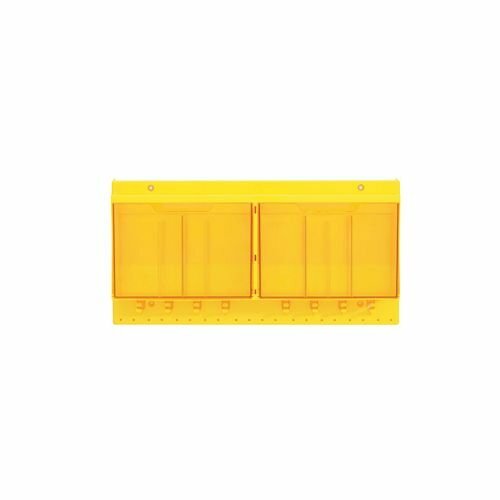 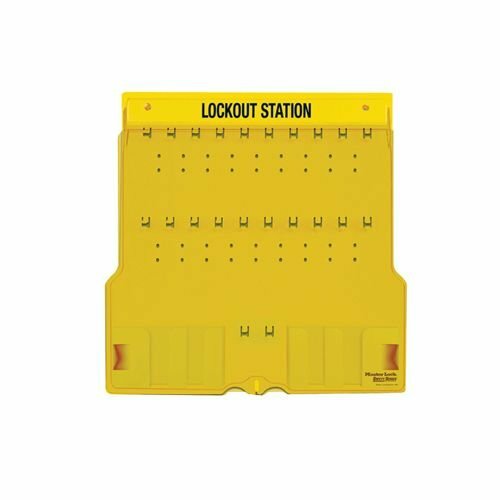 Unfilled Lock-out station with 16 clips and 3 compartments. 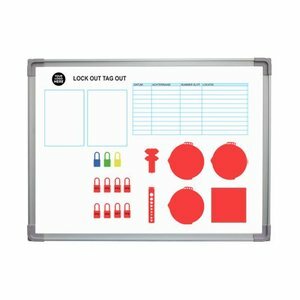 Lock Board for max. 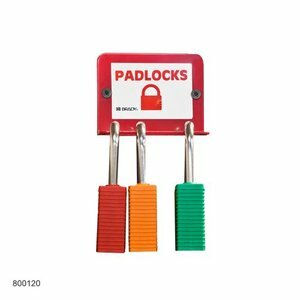 36 padlocks* made of durable plastic material (Acrylic). 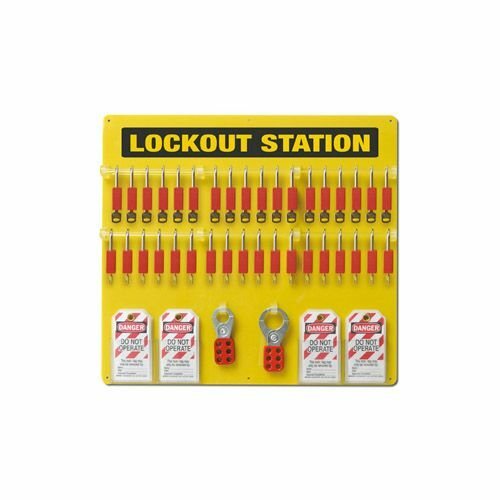 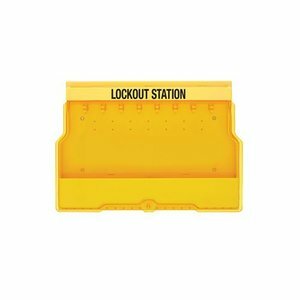 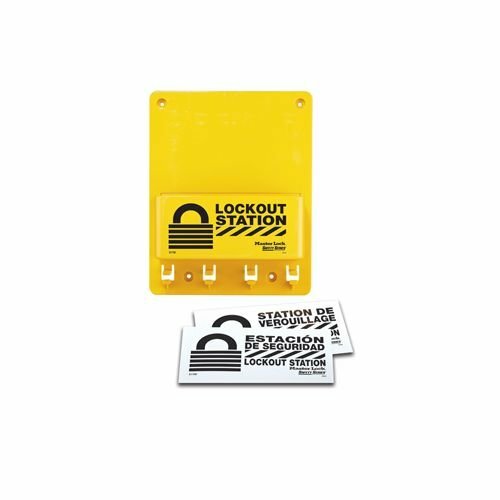 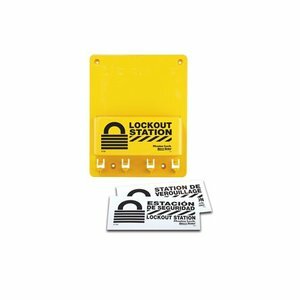 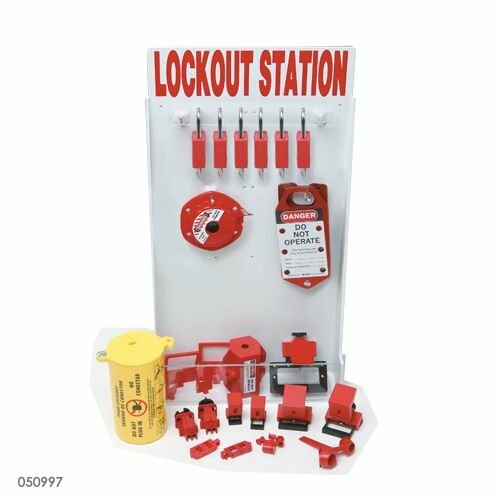 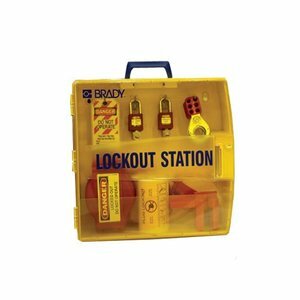 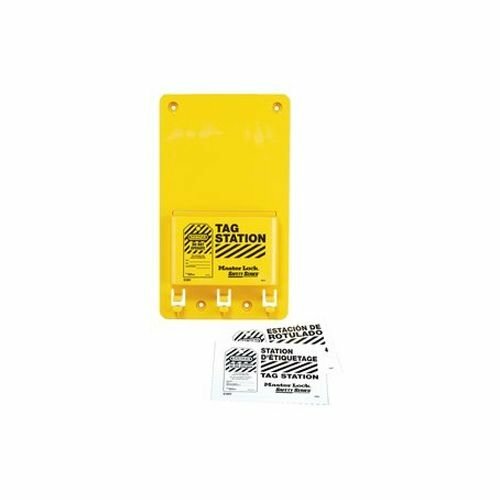 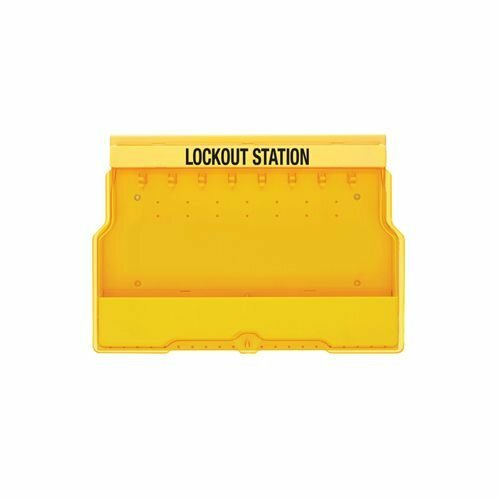 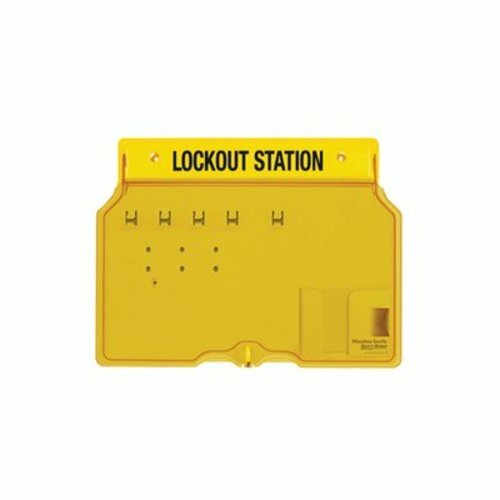 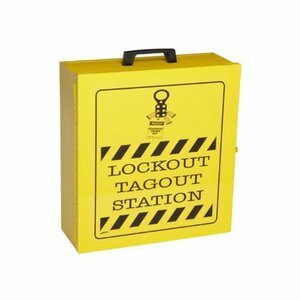 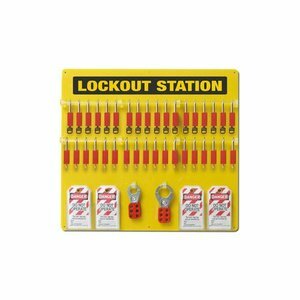 Lockable all metal yellow lockout station. 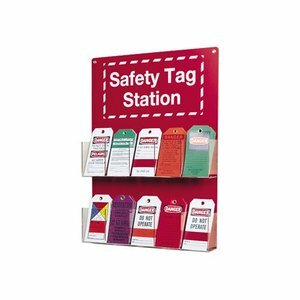 Safety tag station for 50 tags.